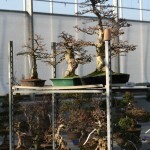 We are now back from our Annual pilgrimage to Lodders or ‘Bonsai Fest’. 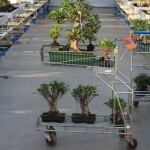 Derek, Amelia, Ross and I have been doing this for the last five years. 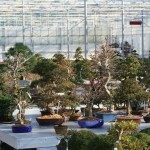 You would think that by now we would have been bored by it, but everytime we go we find something else to interest us. 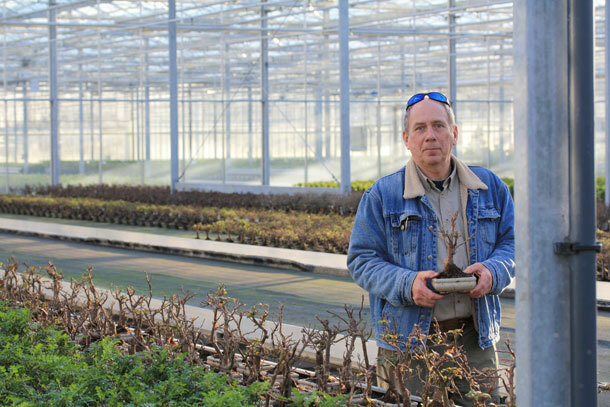 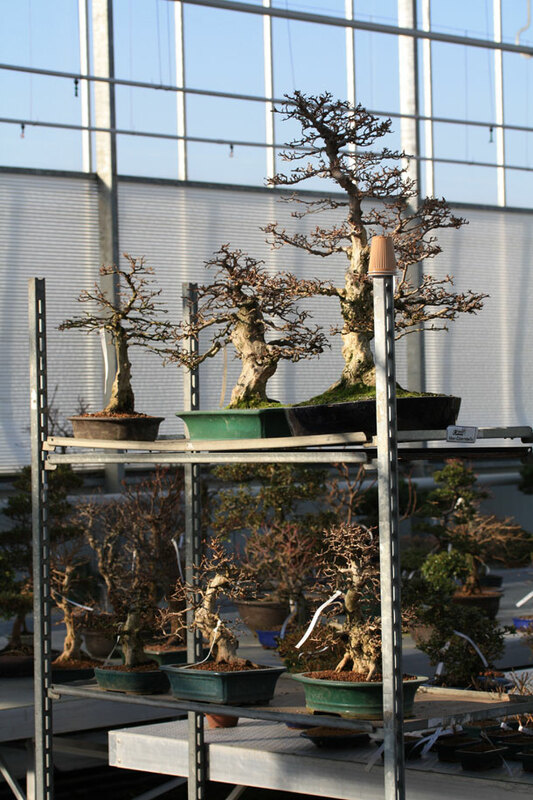 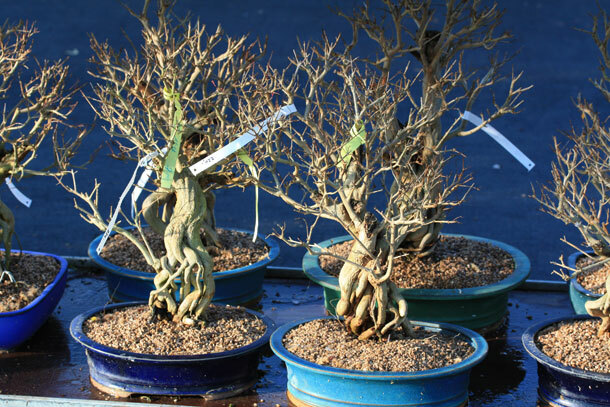 The huge amount of bonsai trees,in all stages of development, never ceases to amaze us all, and we spend the whole three days picking up trees, discussing them, putting them on a trolley and putting them back as we see more and more that appeal to us. 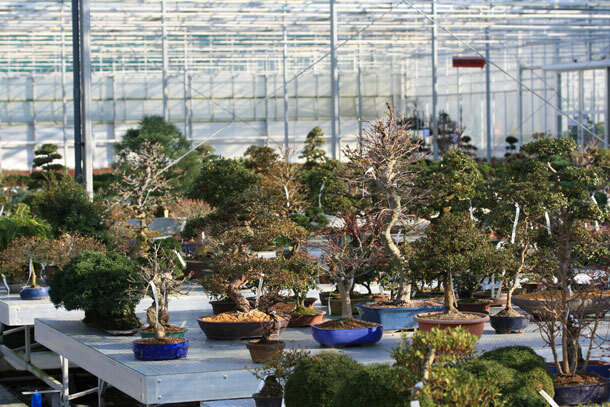 The first time we went it was like being ‘a child in a sweet shop’, Indoor trees, outdoor trees, flowering trees, groups, mame, shohin, unusual varieties, there are so many to choose from that you need at least two days there to actually make any kind of decision. 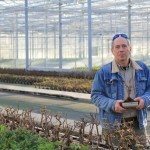 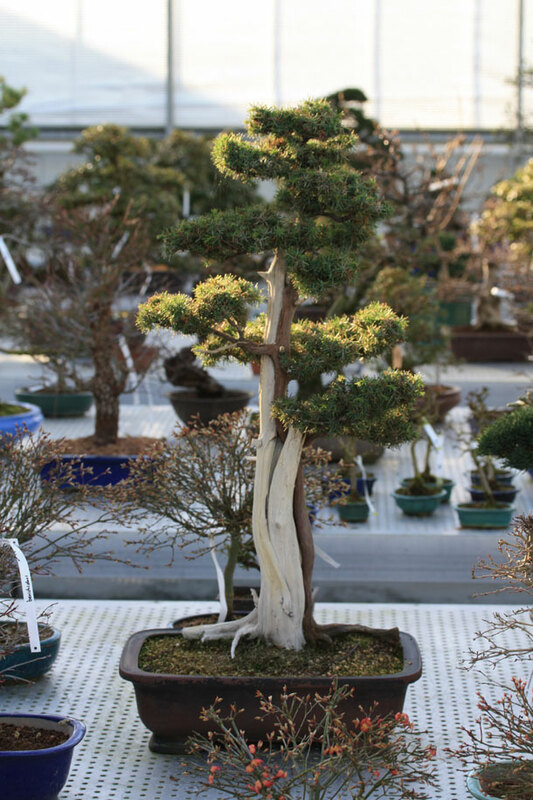 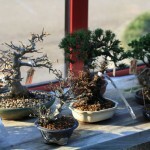 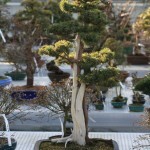 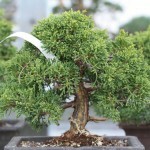 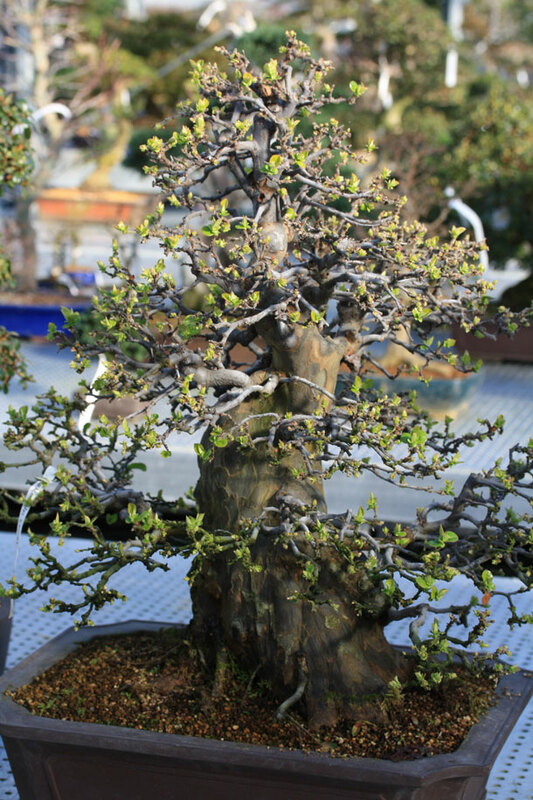 There is a huge selection of pots, tools, and other goods associated with bonsai so it is difficult to take it all in. 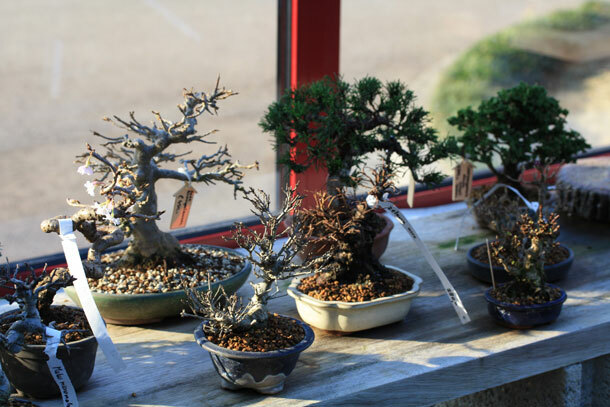 We feel that as being fairly new to the hobby it gives us the chance to see lots of finished and unfinished bonsai, and to purchase something to suit you whatever your budget or interest. 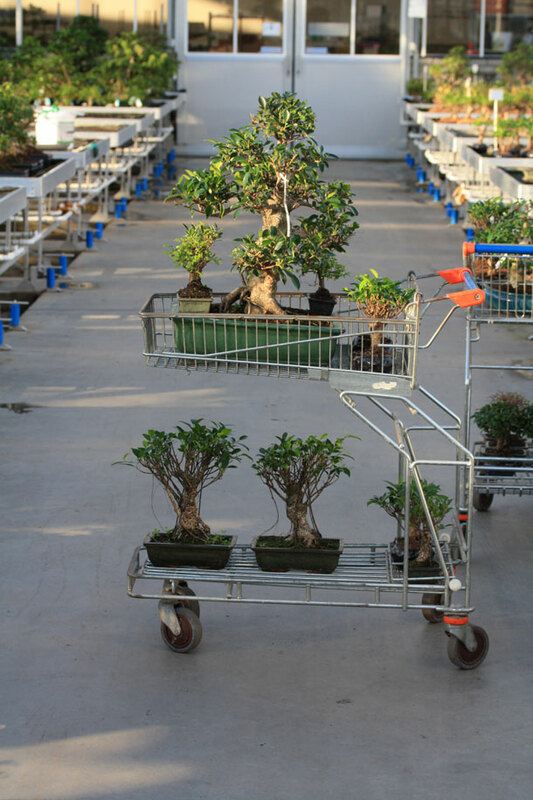 The staff at Lodders make us most welcome and leave us to wander around, just browsing, and drinking from the range of free drinks available to us. 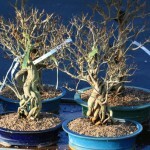 However, if we need advice or help they are happy to do that as well. 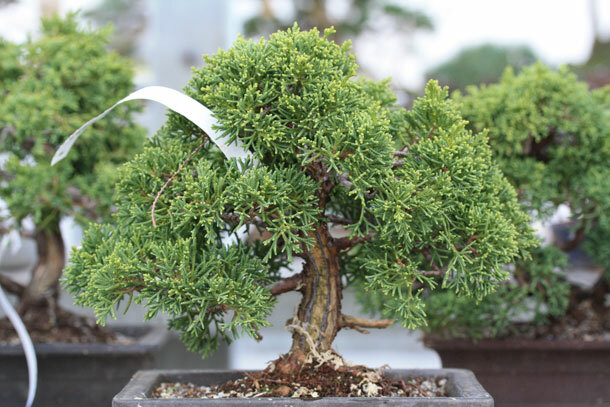 We treat the whole experience as a short break where we can discuss bonsai to our heartís content and I feel it inspires me to try different things when we return.